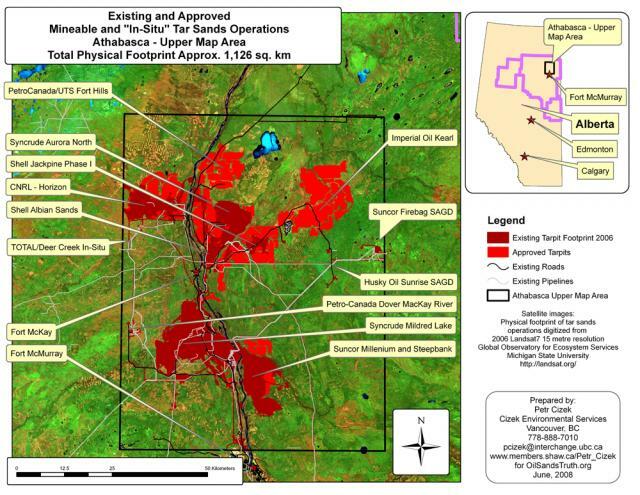 This map shows all approved mining and In-Situ projects in the Athabasca Mineable Region and approved growth levels up to current day (July 2008). Includes existing footprint in dark red and approved/under construction in lighter red. Note no new highways have been projected on this map.